Towards the end of the 19th century, local townspeople began protesting the unsightly conditions of the land alongside the railroad tracks in the newly incorporated Arlington Heights. The Railroad had developed several parks on the north and south sides of the railroad right of way. These "railroad parks" were the beginning of the park system in Arlington Heights. In 1925, citizens determined, by petition, that there was a need for an organized park district and that future development of the community demanded such an organization. 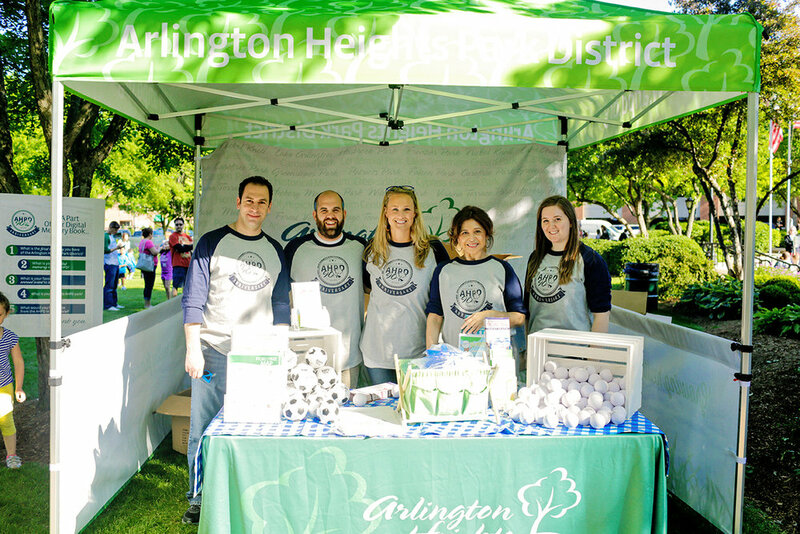 On June 9, 1925, the Arlington Heights Park District was formed and the first Park District meeting was held June 18, 1925. The rest, as they say, is history. 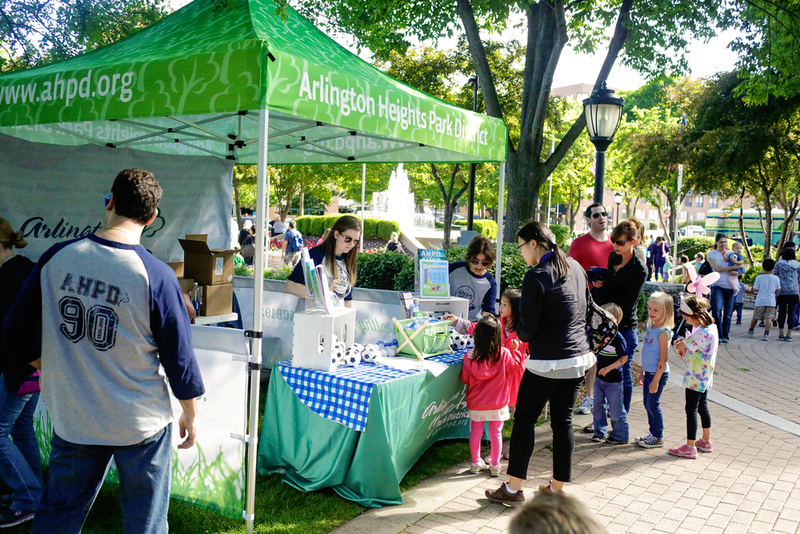 To celebrate and share the rich history of the Arlington Heights Park District in a fun and meaningful way. 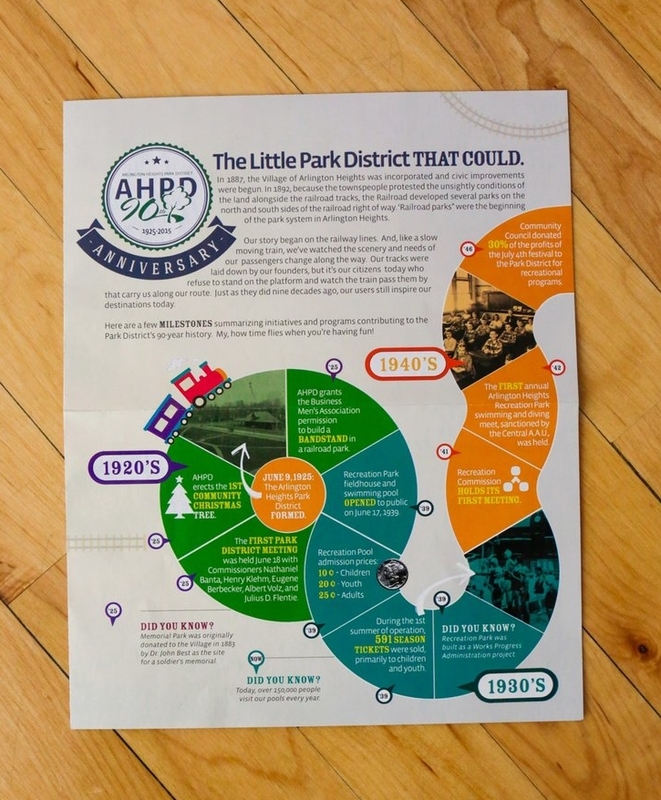 The “Little Park District THAT COULD” timeline was the perfect culmination to our 90th anniversary as it offers a chronological timeline of important dates, events and milestones in our history. In developing my first ever timeline, I researched various layouts and what could be done. 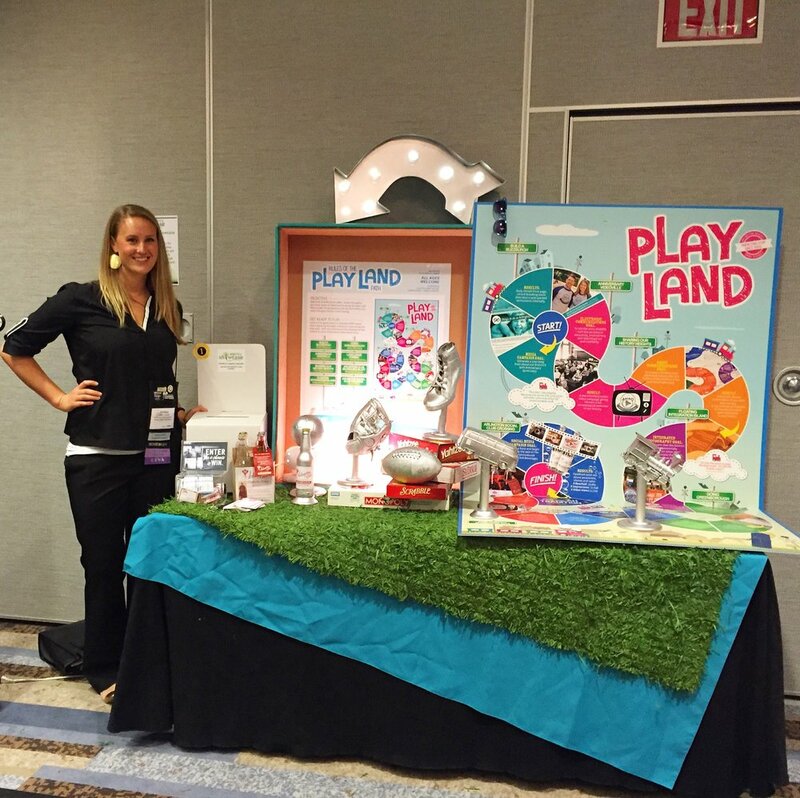 I did not want it to be boring... plus, Arlington Heights really emphasizes play and fun... so my goal was to creative something that felt exactly that. Each color block represents a decade and includes throwback photos from that time period. 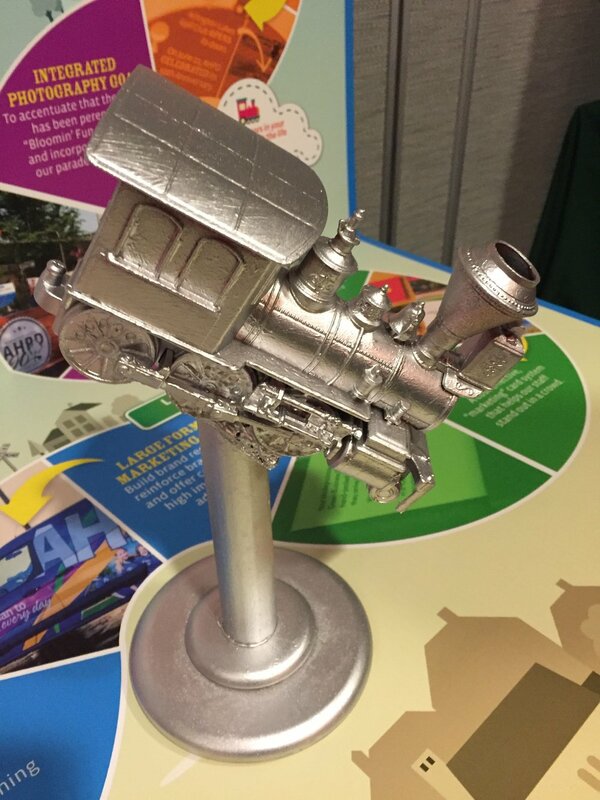 The creative concept highlights the connection between “railroad parks” and the formation of our District. 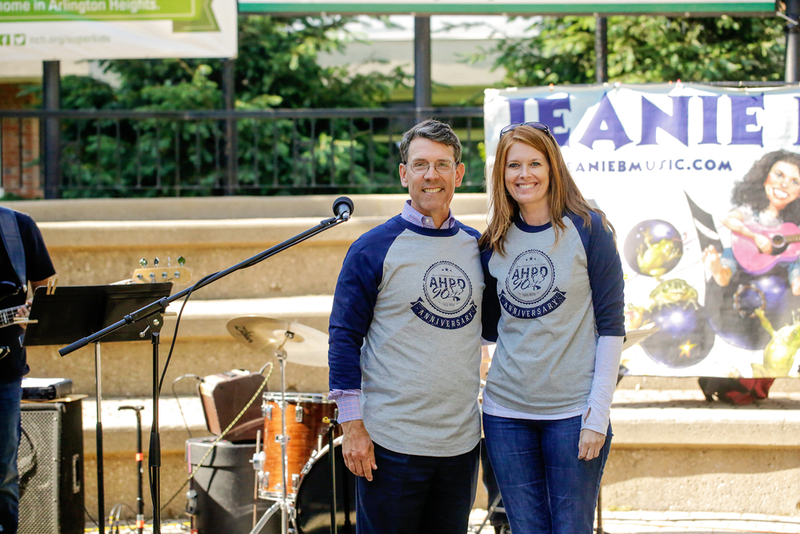 36,000 copies were produced and blown into the Summer program guide (152 pages) and distributed amongst the community. 10 banners were placed at our 10 facilities - that way patrons could/would take a closer look at the milestones. 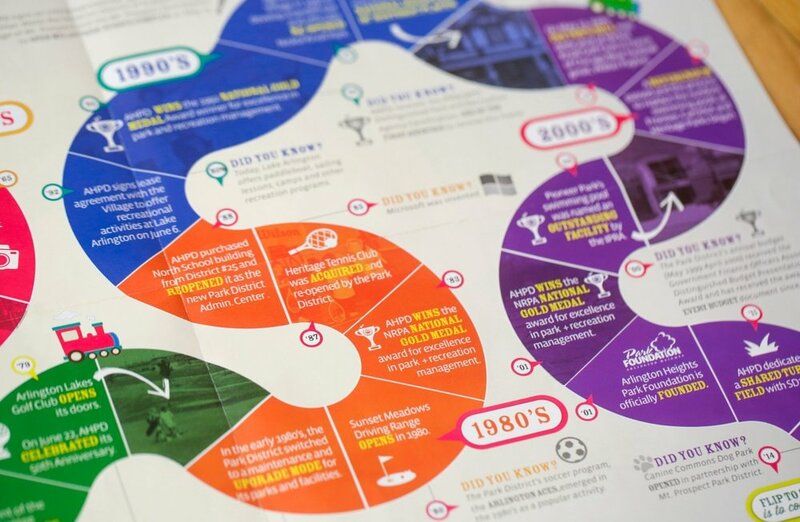 The timeline was later executed into a marketing showcase piece - where it later won "Peoples' Choice Award -2015." Our efforts received front page placement in the Daily Herald, (circulation of 150,000) with a near verbatim publication of our first press release. 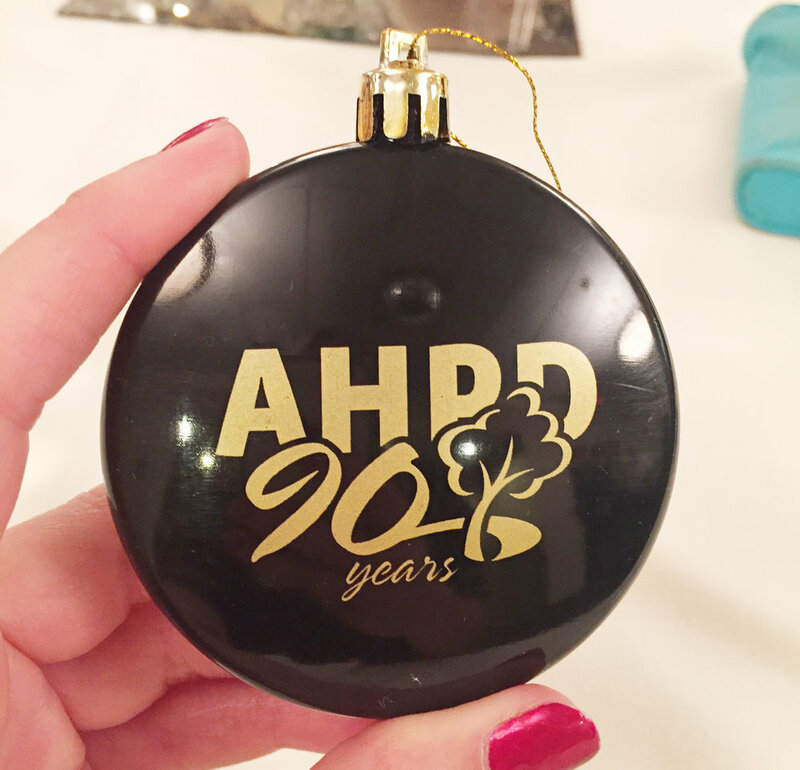 Efforts also sparked enthusiasm internally from the Recreation Department who commissioned the design of a special “AHPD 90 Jersey” for all staff to wear at all special events throughout the year; and we saw record-breaking event attendance.